Okay, it’s time to get back in to our routine of school, sports and work….summer is on its last leg and our vacay weeks have come to an end, but don’t fret! Anthropology will cheer you up with some amazing pieces to spruce up your home office and make our fall routine a stylish one! 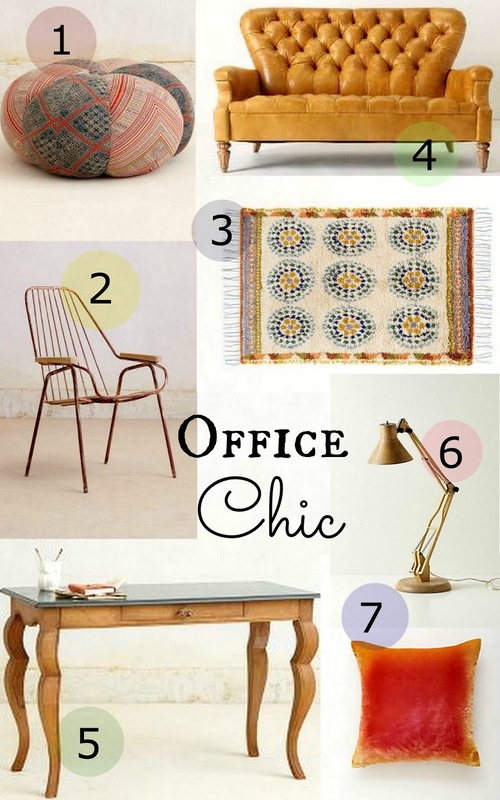 We have picked our favorites to revamp your work space and make it a warm and happy place! Seriously… in love with this casual chic style to make our long work days not so bad. Our favorite– the Handwoven Sawan Pouf that can rotate throughout different rooms in your home! Currently Crushin’ on these Fabulous Pieces, Obsessed!